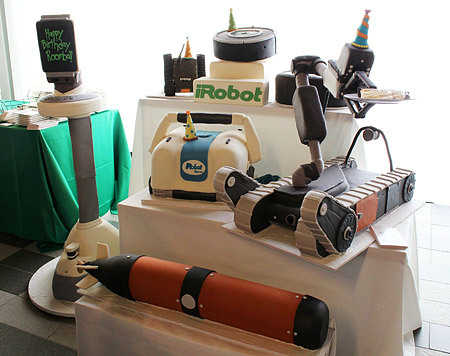 This week, the iRobot Roomba celebrated its 10th birthday. Ten years of autonomous vacuuming, and we’re confident that there’s even more amazingness ahead. Why are we confident? Just look at those cakes, man! That’s enough to instill anyone with confidence. And hunger. Okay, mostly hunger. We have video of the cakes in action (yes, there is action), plus lots more, for this week’s Video Friday.